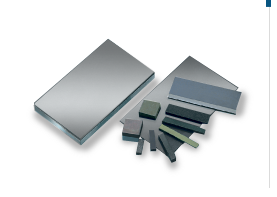 We can adjust bonding methods and abrasives according to your manufacturing conditions and requirements. We provide a complete manufacturing process, including cutting, cylindrical grinding, step grinding, flute grinding, and relief grinding, and have ample experience to apply towards creating the most suitable abrasives and bonding methods according to the user’s machines and operating conditions. 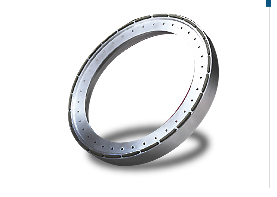 The superior wear resistance of the grinding material comes from the resin and metal bonding, giving this product outstanding cutting power and shape retention capabilities. 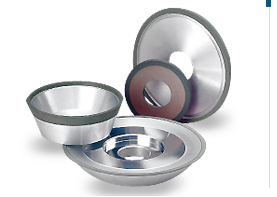 Our company selects the proper bonding method based on our customer’s demands (i.e. work piece material and machine conditions). 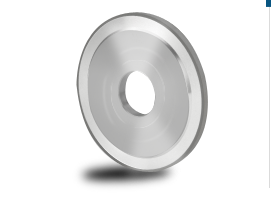 Our grinding wheels are ideal for materials such as solid carbide and different kinds of high speed steels (end mills, ball end mills, roughing end mills, and others, reamers, drills, etc.). 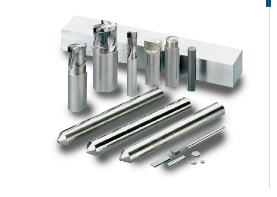 We provide a complete solution for the entire manufacturing process, including flute, relief grinding, and gash. 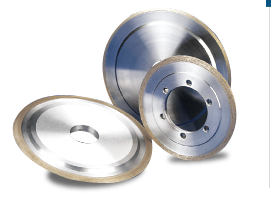 Combined with the newest technology to develop and produce vitrified wheels. 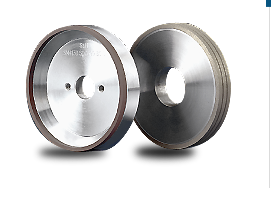 The advantages of these wheels are that they are capable of machining different kinds of hard-grinding materials due to their high-sharpness and good wear-resistance. 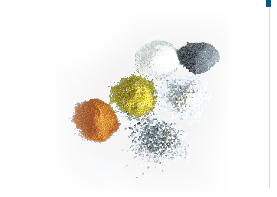 Ideal for materials such as tungsten carbide, modeling steel (SKD11, and SKD61), high speed steel (HSS), ceramics (high purity of aluminum oxide and silicon carbide), quartz, and other similar materials. 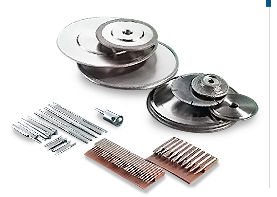 Additionally, we have the best abrasion and bonding methods for roughing grinding (#60~ #200), finishing grinding (#230~ #600), and polishing (over #800), we have the best abrasive and bonding methods. 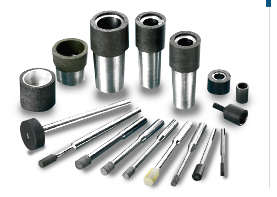 We target user’s demands by immediately providing suitable abrasives, bonding methods and suggestions. 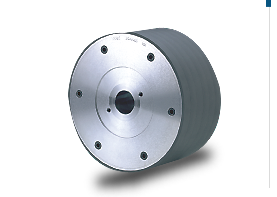 Also, we ensure that the cutting face and wear resistance of the grinding wheel is in the best condition by precisely recording the user’s sing condition. Ideal for grinding tungsten carbide, ceramics (high purity of aluminum oxide, and silicon carbide), quartz, and so on. From roughing super hard material to polish (under Ra0.1), we can supply all the abrasives and recommendations for bonding methods for the user. 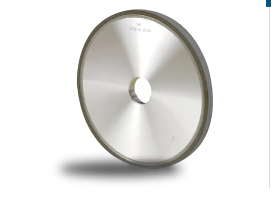 These grinding wheels are suitable for glass chamfering, rough and fine grinding, and specialized binding operations. 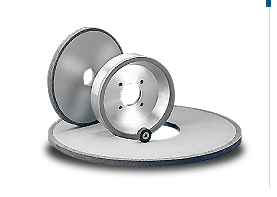 The grinding wheel base is manufactured with an aluminum copper mix or a pure aluminum base according to customers’ needs. 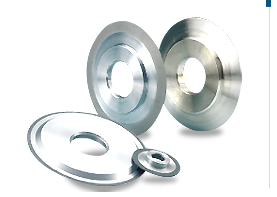 Using vacuum and thermal pressure to sinter and model the diamond and CBN wheels during the metal bonding process ensures stable and reliable quality. 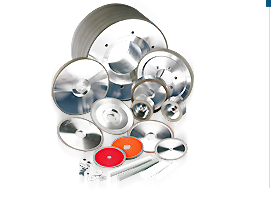 An ideal diamond tool for manufacturing ceramic, quartz, hard and breakable material, and other materials. 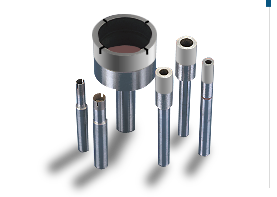 We provide the most suitable bonding method and structure of mounted pints for internal grinding depending on the demands of the customer. 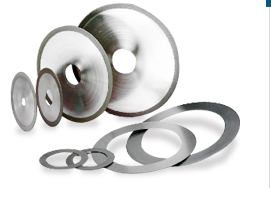 We then suggest the proper tool steel, high speed steel, or tungsten carbide according to customer’s requirements in order to manufacture the mounted point with the best quality.